Onigiri rice balls are a staple of a bento lunch box, so why not try making a few with RoyalⓇ Basmati Rice? 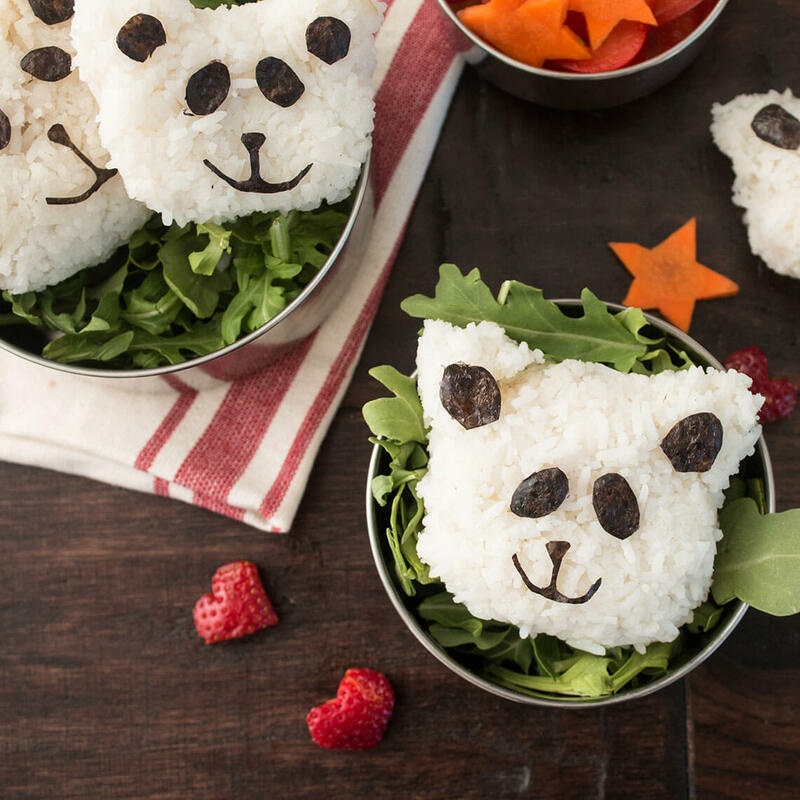 These cute panda shaped onigiri are filled with salmon, but sour plums, tuna salad or pickled vegetables make equally delicious stuffings. Preheat oven to 375℉ and oil a baking sheet. Place salmon on baking sheet and brush with oil. Bake until cooked through, 15-20 minutes. Let sit until cool enough to handle, then flake into a bowl. Stir in soy sauce and vinegar. 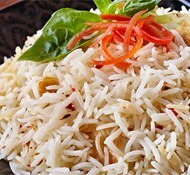 In a medium saucepan combine rice, 2 cups water, and salt, and bring to a boil over medium-high heat. Reduce heat to medium-low, cover, and simmer until tender, 20 minutes. Remove from heat and let stand, covered, 5 minutes. Transfer 1 cup cooked rice to food processor and pulse until ground to a sticky paste. In a medium bowl combine paste and remaining cooked rice. Mix with hands to combine. Use a ½ cup measure to portion rice. Press a divot in the center of each rice ball place 1 tablespoon salmon in it. Form rice around salmon and place on a square of plastic wrap. Wrap plastic around rice and use it to shape rice into a flattened circle, pinching rice into 2 ear shapes on a round head. Unwrap. Cut nori into shapes for decorating. You will need 2 oval eyes, 2 half-moon ears, and a nose and mouth shape for each onigiri. Decorate rice balls with nori pieces, using tweezers to help place nori if needed. 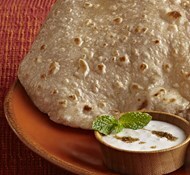 Wrap tightly and eat within 1 day.